(Bel Air, MD – August 6, 2015) With a continued commitment to the community and support of local initiatives, Chesapeake Environmental Management, Inc. (CEM) recently awarded grants to five local organizations International Baccalaureate Diploma Program at Edgewood High School, Sexual Assault/Spouse Abuse Resource Center (SARC), Harford Family House, Casey Cares Foundation and the Baltimore Community Foundation — as part of its annual giving program. The International Baccalaureate Diploma Program (IB) at Edgewood High School encourages high school students across Harford County to recognize their common humanity. With an overall goal to develop internationally minded young adults in an effort to promote peace on a global scale, the IB Program develops knowledgeable and caring youth, who express the motivation and drive to improve the world around them. The IB program intends to use the CEM grant support to provide students with educational field trips, as well as summer activities for all students and their families to increase communication between the school community and home. Driven to achieve a safe and dignified community, CEM also awarded a grant to the Sexual Assault/Spouse Abuse Resource Center (SARC), an organization working to build a safer Harford County by offering support to victims, potential victims and survivors of domestic violence, sexual violence, child abuse and stalking to members of the community. The awarded funds will support the salary of one attorney who provides free representation to SARC clients, a necessary resource for a majority of members in need. “SARC is grateful to CEM for their partnership and financial support of SARC’s legal services program. 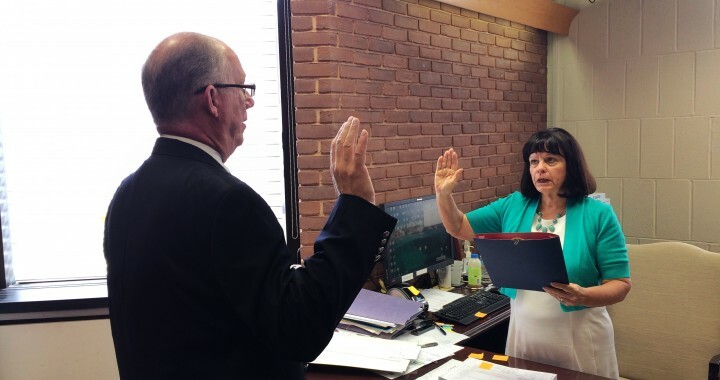 As Federal funding continues to be reduced, private companies like CEM that choose to focus donations on programs that impact the community are what will keep these vital services available to Harford County’s most vulnerable citizens,” said Luisa Caiazzo, executive director of SARC. As the largest provider of transitional housing for homeless families with children in Harford County, CEM chose the Harford Family House as a 2015 grant recipient to enable the organization to provide housing resources and support, which will allow a local family to move from homelessness to permanent, stable housing. Through its mission, the Harford Family House seeks to end homelessness in Harford County by providing: emergency, transitional and permanent supportive housing assistance; support with supplies, transportation and case management assistance; and educational services with a range of life skills workshops for our county’s homeless population. Through CEM’s efforts to give back to the community, the Casey Cares Foundation was named a 2015 grant recipient. The foundation is dedicated to providing inspirational programs with a personal touch designed to uplift critically ill children and their families. Serving children at local hospitals, the Casey Cares Foundation builds personal relationships with the children and their families. This personal touch allows the organization to tailor programs and activities specific to the needs of the families whom it serves throughout the duration of the child’s illness and beyond. 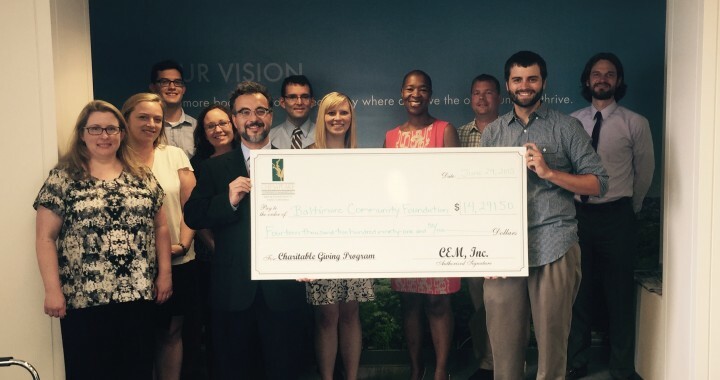 CEM awarded a financial grant to the Baltimore Community Foundation to support the Fund for Rebuilding Baltimore. The recently established fund seeks to repair the physical and emotional damage created by recent events in Baltimore City in an effort to strengthen the community for the future. Established in 1972 with a focus on education and neighborhoods, the Baltimore Community Foundation supports initiatives to improve access to transportation, increasing home values, educational opportunities for middle school students and increasing neighborhood sustainability, to name a few. With community-centric focus, CEM continues to give back by providing support for a sustainable future through every aspect of the organization. 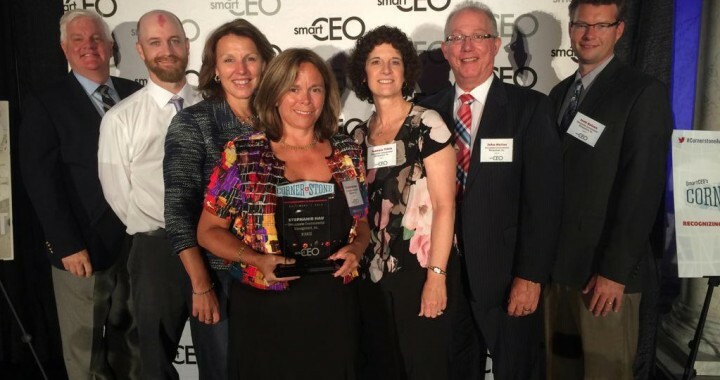 Serving as good stewards of contractual funds for environmental projects through efficient and effective work strategies, to its annual giving program and continued support for local small businesses allows CEM to work to contribute to the betterment of the community. For more information on each of the 2015 CEM grant recipients, visit them on the web at www.HCPS.org (International Baccalaureate Program at Edgewood High School); www.SARC-maryland.org (SARC); www.harfordfamilyhouse.org (Harford Family House); www.caseycares.org (Casey Cares Foundation); and www.BCF.org (Baltimore Community Foundation).